Welcome to 12224 Saint Bernard Drive! 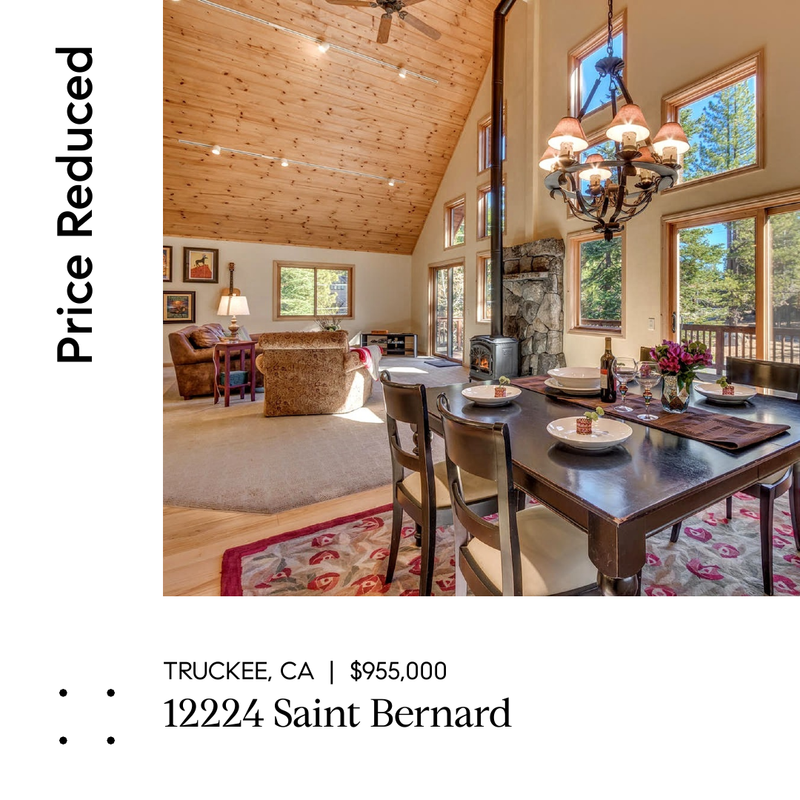 A great family mountain residence built in 2006 with 4 bedrooms includes 2 master suites, 4 baths, spacious loft, recreation room with kitchenette, and gourmet kitchen. This 3-story home is bright and open with a south facing great room, vaulted ceilings, hardwood flooring and huge deck for entertaining. Large level driveway with 2-car garage and plenty room for storing summer and winter toys! Access to Tahoe Donner amenities with pool, and nearby hiking trails and skiing.